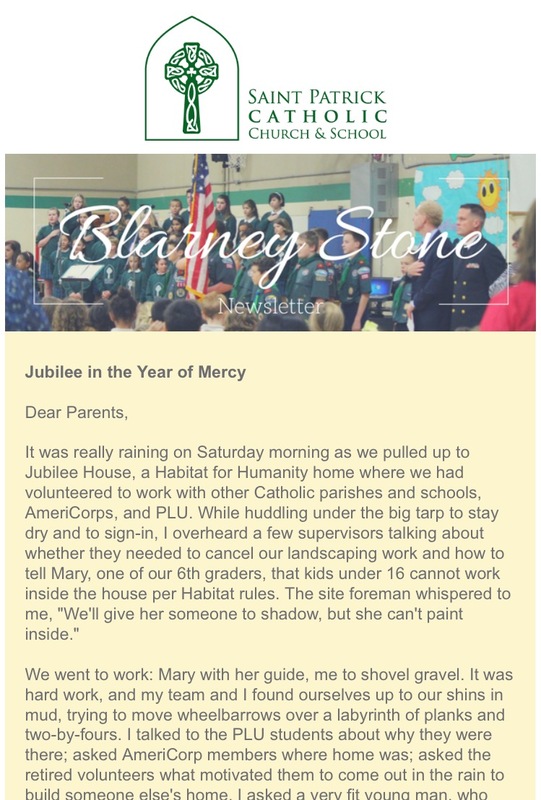 The Blarney Stone e-newsletter is published weekly for the St. Pat’s community and includes updates on school events and special programs. It is important that parents read The Blarney Stone every week to be sure not to miss out on important communications from the school. Sign up using this form to join our free email mailing list to keep up on news and announcements from St. Pat’s. Our students also publish a student newsletter. For the most recent St. Patty’s Post, click here. 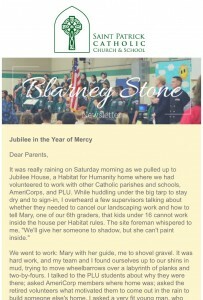 Click Below for archived copies of the Blarney Stone and St. Patrick Parish’s Cornerstone. Constant Contact generates the archives and currently is unable to offer them in chronological order. Sorry for the inconvenience.